So Evet (yes) has won the Turkish Referendum. Hayir (no) despite being harassed, offered no media coverage and having some supporters imprisoned pushed Evet very close indeed. They won several cities they were expected to lose — Edirne, Ankara and Antalya. They were able to get as high as 80% in Kadıköy and 82% in Beşiktaş. The Kurdish areas and Izmir managed to get into the high sixties and seventies as well. I know people should accept democratic results, but this result was not democratic. One side was intimidated and the other was the Government. 848,000 votes have been rejected and allegedly 1.5 million illegal ones have been counted. Indeed, this vote might never have occurred. In local elections in 2014, pro-Kemalist areas suffered massive power cuts, meaning some votes couldn’t be counted. But this “result” shows a powerful minority did not give into the bullying and refused to submit to the will of just one. 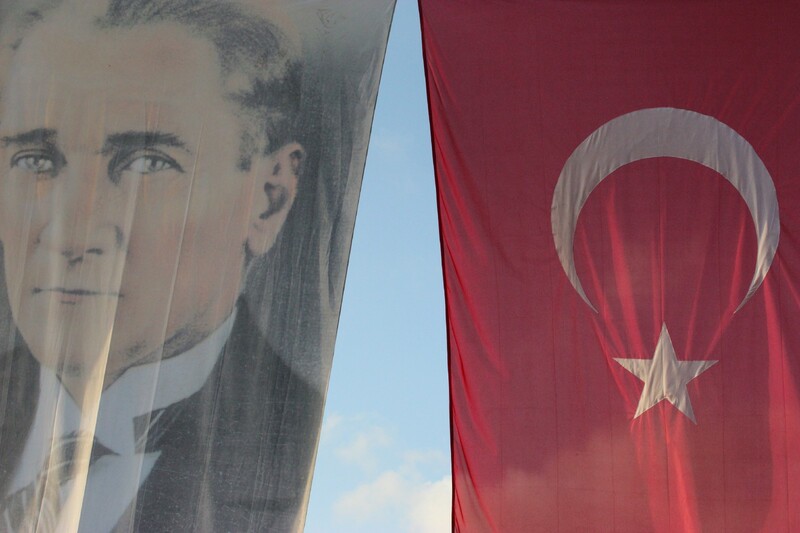 In Beşiktaş, Kadıköy and Izmir, the Kemalist dream will never die. The bordermen in Edirne have awoken. These people did not let down the champions of a democratic, secular Turkey. In all the excitement or un-excitement this weekend, I forgot to talk about Hibernian FC and their promotion. Hibs, my second team, have been unlucky in the previous two seasons. Indeed last year, their epic cups runs meant they were too stretched. They deserve to go up and might have another Scottish Cup soon. They’ve played well and deserve promotion. Prince Harry has spoken about his mental health difficulties following his mother’s death. It takes a lot of bravery to come out the way Harry has done. Indeed, some of his profile doing so will help others and let them know that whilst it can be difficult, help is always available and useful.